Complete Kit while supplies last - $130.00. Who hasn't gotten "moosebumps" when they encounter one of these awesome creatures in the wilderness. 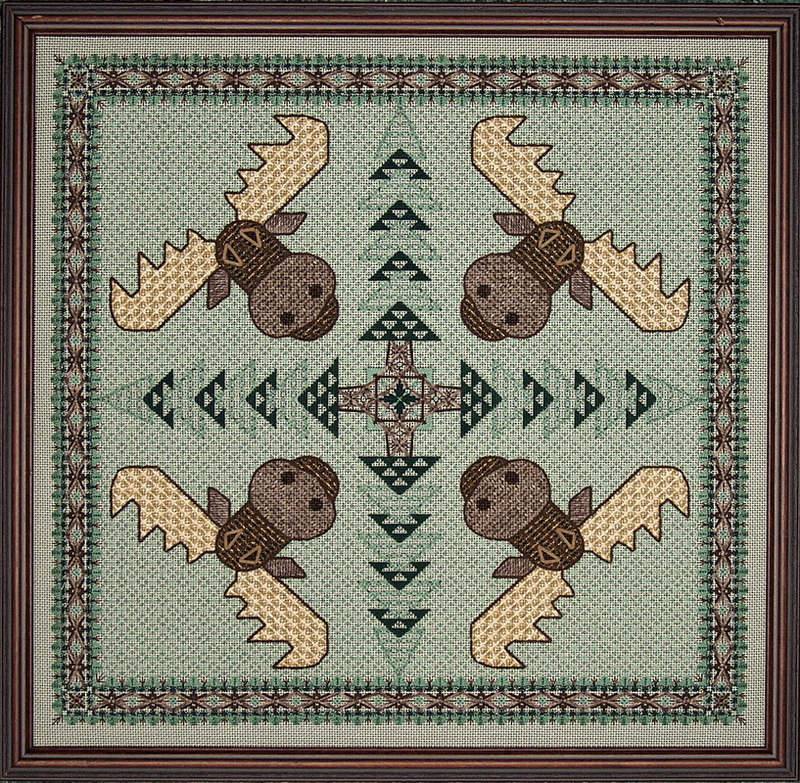 This whimsical four-way moose design was inspired by a quilt pattern. The moose are outlined in rich brown velour and embellished with three different composite patterns. Each quadrant is separated by stylized pine trees of stacked triangles with alternating open fillings. Finishing touches include a fancy six-step border and a soft blackwork background. A variety of interesting threads are used to interpret this charming woodland theme and all of the patterning was developed specifically for this project.